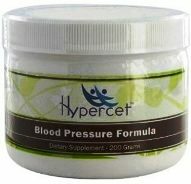 Blood pressure medications are great for lowering blood pressure and reducing your risks of hypertension. However, don’t rush into popping that pill just yet, as there are known blood pressure medication side effects. Knowing the contraindications is important so that you’ll know the repercussions of overdosing or long term use. The side-effects vary depending on the type of medicine taken. 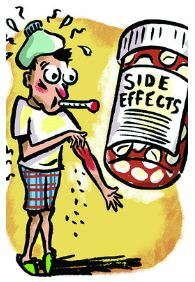 Diuretics, such as Indapamide, lower blood pressure through dieresis. The side effect of this medication is that it decreases your body’s supply of potassium leading to cramps and loss of energy. Gout can also be a side effect acquired from diuretics. What you can do to counteract this is to eat foods high in potassium such as bananas. What beta blockers do is they reduce stress and in effect, lowers the occurrence of hypertension. The side effects that you may possibly get from beta blockers are insomnia, cold hands and feet, loss of energy, depression, slow heartbeat, and impotence. ACE inhibitors reduce the activity of your renin-angiotensin-aldosterone system or RAAS leading to a decrease in blood pressure. Their side effects are skin rash, loss of taste and chronic dry, hacking cough. Although it happens rarely, they may also cause kidney damage. Calcium channel blockers decrease cardiac output. Since blood pressure is determined by cardiac output, in effect it decreases blood pressure too. Calcium channel blockers may cause heart palpitations, swollen ankles, edema, constipation, headache, and dizziness. As you can see there are many high blood pressure medication side effects. If you want nothing to do with these side effects then why don’t you try natural blood pressure reducers? 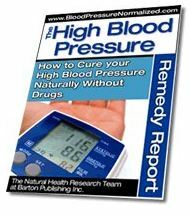 Reducing high blood pressure naturally is easy. All you need to do is exercise regularly, take slow, deep breaths throughout the day, make sure you drink at least 8 glasses of water a day, and eat healthy food. This way, you can avoid the side effects while you are still able to lower your blood pressure. Incorporating these things into your daily routine will also lead you to a healthier lifestyle. There you have it. Generally, the benefits of these medications far outweigh their harsh effects. However, knowing about the blood pressure medication side effects is beneficial so that you are aware of the hazards beforehand and you know how they can be counteracted. I am on Metoprolol tart 50mg sinse 2011/09/05, on Hidrochlorothiazide 25mg sinse 2011/09/18, on Olmesartan medoxomil 20 mg sinse 2011/09/30. My B.P.continuesly high-184/90/66. Is it normal? How long i should wait for lower reading?